In 1986, Margaret Thatcher launched a campaign to rid Britain of litter. Returning from a visit to Israel, the prime minister contrasted the spotless streets of Jerusalem with the littered pavements of London. Shortly afterwards, she appointed Richard Branson as Britain’s first ‘litter tsar’, who promised to set thousands of young unemployed people to work cleaning up the streets and clearing derelict sites. Fast forward three decades, and the House of Commons Communities and Local Government (CLG) Committee has found that litter remains as big and expensive a problem as ever. The cross-party committee estimates that the annual cost of cleaning up litter in England is around £850m, with chewing gum, smoking materials and fast food litter identified as the most frequently littered items. Meanwhile, the government insists it is doing what it can to address the problem. In November, the Telegraph reported that ministers were planning a major push to achieve a cultural change towards dropping litter. Echoing Margaret Thatcher’s campaign, the plans were said to include a ‘clean up Britain day’, as well as making it easier for local councils to prosecute drivers throwing rubbish from their vehicles. The writer’s observations sparked a debate on litter as a class issue, and whether Britain could learn from Singapore’s zero tolerance approach. 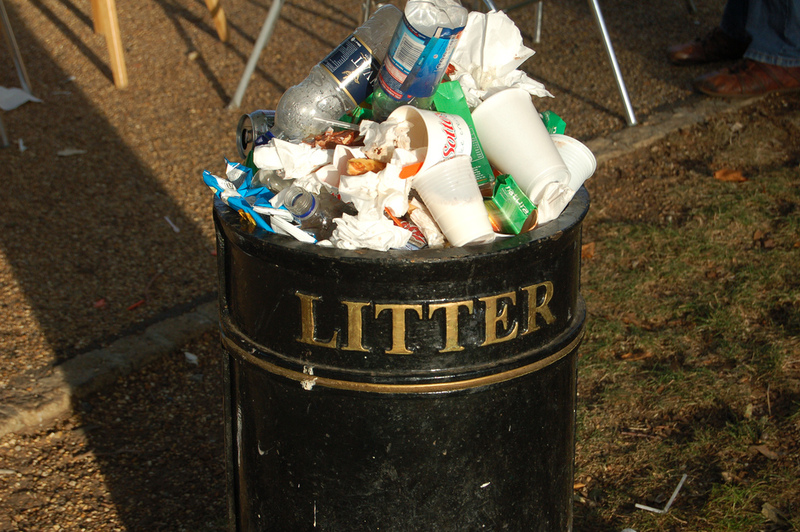 Although the CLG Committee’s report was confined to England, litter is a blight affecting the rest of the UK. Launching its national litter strategy in 2014, the Scottish Government noted that at least £46 million of public money is spent removing litter and fly-tipping from the environment each year. And earlier this year a survey revealed that there was more litter in Northern Ireland’s streets and parks in 2014 than there has been in a decade. Tackling litter, it seems, is a worldwide work in progress. The Idox Information Service can give you access to a wealth of further information on environmental issues. To find out more on how to become a member, contact us. This entry was posted in Environment, Regeneration and community development and tagged behaviour change, cigarette litter, communities, environment, environmental quality, fast food litter, fly-tipping, Keep Britain Tidy, Litter, litter prevention, local government, national litter strategy, rubbish, street cleaning, waste, waste management. Bookmark the permalink. Very true – Government are spending lots of money on schemes to reduce litter. It is happening here in New South Wales too. But we think they are focussing too much on the businesses, and not on the attitudes of the individual. Government spending should be implemented into a campaign to cater to these individuals who are careless with their waste.